A crown is used to cover a tooth to improve its appearance, shape and alignment. It can be placed over an implant to give a tooth-like shape for functionality. 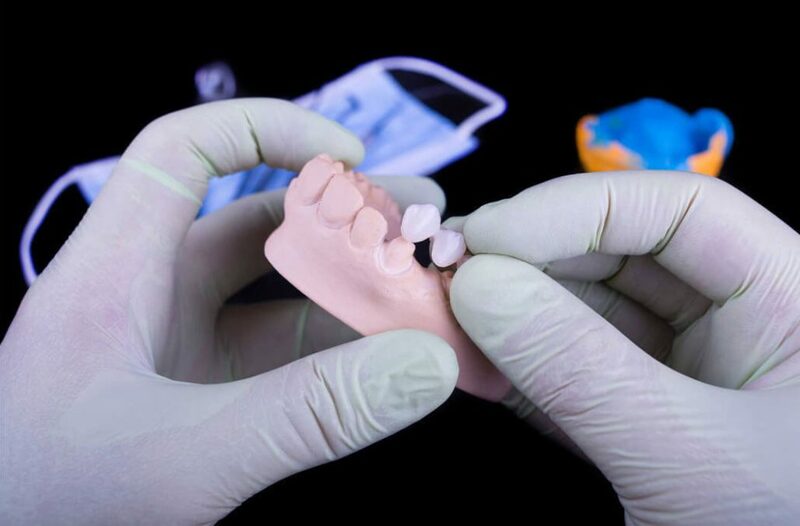 Porcelain and ceramic crowns can be matched to the colour of your natural teeth so they fit in with the rest of your smile, and we also offer other materials such as gold, metal, and acrylic. Alloys in these materials are recommended for back teeth as they are generally stronger. If you’re missing one or more teeth, a bridge may be recommended to span the space where teeth are absent. They are cemented to the natural teeth or implants surrounding the empty space. Gaps left by missing teeth eventually cause the remaining teeth to rotate or shift into the empty spaces which can result in a bad bite. The imbalance caused by these spaces could also lead to gum disease and other disorders, so it’s important to get them fixed. Veneers are used to hide tooth discolouration, unsightly gaps, and to cover misaligned teeth by placing a wafer thin layer of porcelain made to fit over the surface of the tooth. A fitting for veneers takes two visits, one to prepare the tooth and to match the shade and one for the fitting itself. 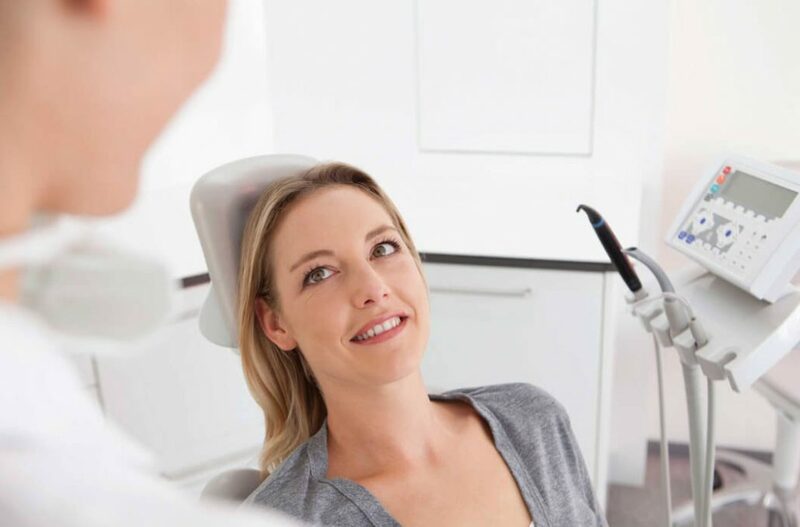 You will be able to see if you’re happy before the veneer is fitted, and the process requires very little work being needed on the tooth itself.